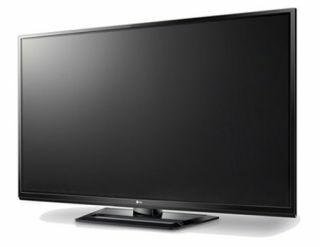 Here's a deal that may be hard to resist: Asda is, from today, offering an HD-ready LG 50in plasma TV with Freeview HD for just £447. The LG 50PA4500 is an ultra-slim design with 600Hz refresh rate. It's currently on sale at Currys for £529 and Tesco at £629. Asda claims this is the first time a 50in screen has been sold for sub-£450. It's one of three TV offers from Asda In the run up to this summer's Olympics and European Championships. The supermarket is also offering a 40in Samsung LE40D503 Full HD Freeview TV for £299, and a Sharp LC32SH130K 32in LCD TV with USB recording capability for £197. All three deals are available in store and through Asda Direct from today, May 14th. Asda technology expert Michael Arnott says: " We've taken first place in the race for exceptional TV deals. These have come just in time for wahat we expect to be a superb summer of sport."